Palo Alto Tote is constructed of navy and cream stripe canvas fabric with top zippered closure and front flap pocket. Screen printed Titan logo on pocket. 16" wide by 14" high and 7" deep. 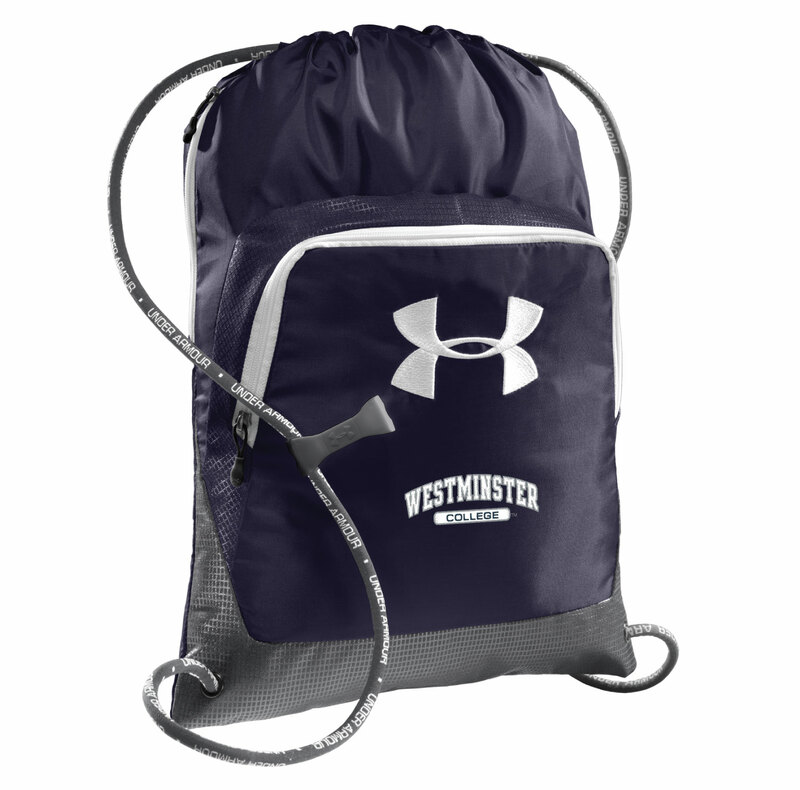 Fully lined Under Armour Undeniable sack pack features front organization pocket with zipper closure, locker tag, and inside zipper pocket. 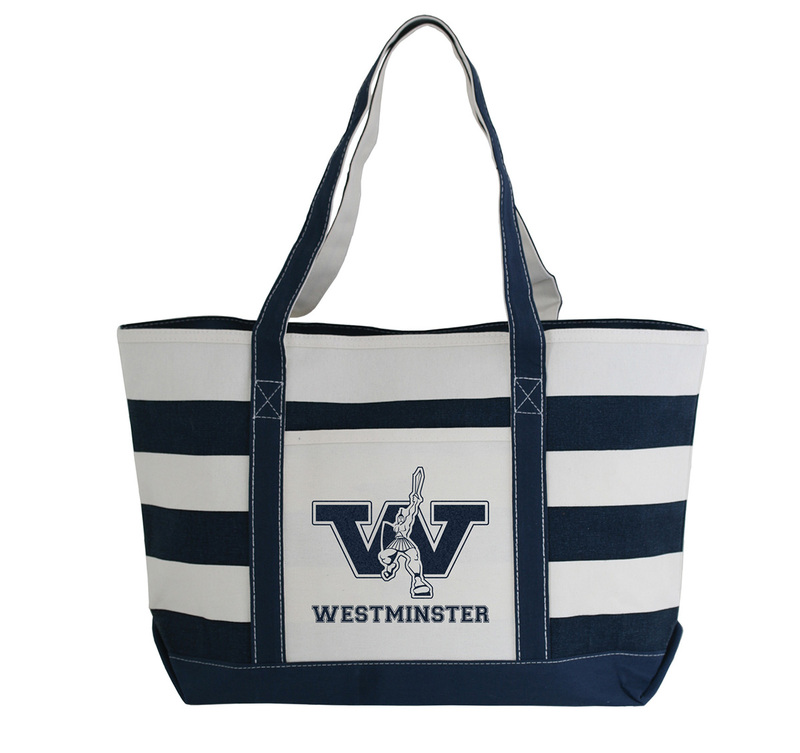 Customized with Westminster College embroidered on front.